Some of my favorite designers—Charles Eames, Eero Saarinen, Alvar Aalto and Mies van der Rohe, among others—all subscribed to the idea that design is everything. These masters set standards of simplicity, honesty and functionality through their ideas and prototypes for furniture, products and architecture that still inspire great design to this day. But what is it exactly about their work that makes it so lasting and impactful? Myriad studies, criticisms and accounts of their work highlight the key aspects of their respective portfolios that firmly plant these giants in the realm of true design innovators. Yet the thread of consistency and beauty in every project, no matter how large or small, might be best summed up by famed industrial designer Dieter Rams: good design is as little design as possible. In other words, great design is born out of simplicity, purity, timelessness, unobtrusiveness and intuitiveness. This was his mantra when he created incredibly beautiful products for Braun that inspired generations of designers to come—a prime example being the influence his 1960s designs had on Apple, created a decade before Jobs and Wozniak would power up the Apple I in the garage of Jobs’s childhood home. Speaking of The Fruit, Apple’s new headquarters in Cupertino was a compelling collaboration between two design greats: Lord Norman Foster of Foster + Partners and Jony Ive, Apple’s Director of Design. In a Wall Street Journal article, Foster describes Ive as a “poet” in a world of architects and designers frequently labeled as “essay writers.” Ive’s long-time friend, Apple Watch collaborator and famed product designer Marc Newson also describes him as having an “absolute obsession with the idea that [the building] was built like a product, not a piece of architecture.” This highlights the intersection of two seemingly unrelated disciplines and the consequential impact: when poetry and product combine, you get functional art. Yet the “functional” piece is not always so easy to quantify. 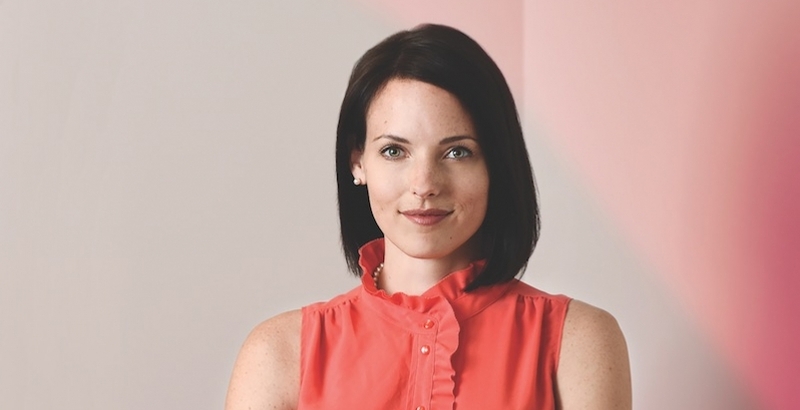 In other design-focused industries, we see a movement toward digital analytics, intense focus on the user interface and experience and new strategies for accomplishing efficiencies in material usage, space and energy consumption. The automobile industry and product designers have always had to measure the value of their work by these metrics and deliver on their promises, or their products would fail. 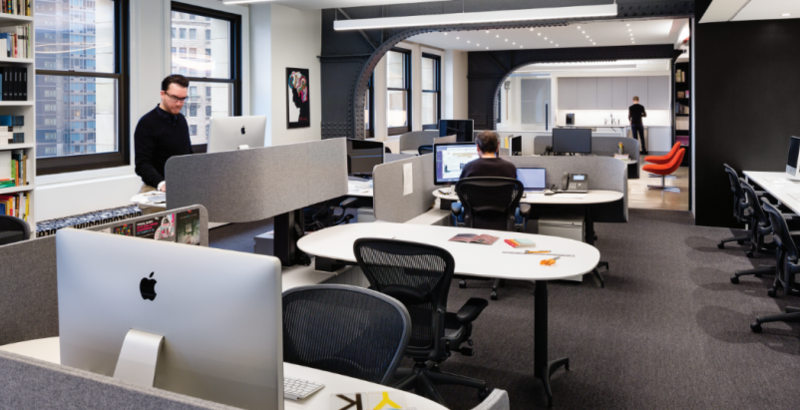 What if architects were challenged to think more like product designers? How would our process change? What paradigms would we need to break, and how differently would buildings look, feel and perform as a result? What new set of metrics would apply to our work? A few recent examples give us an idea of what this product-centric philosophy of design might look like. 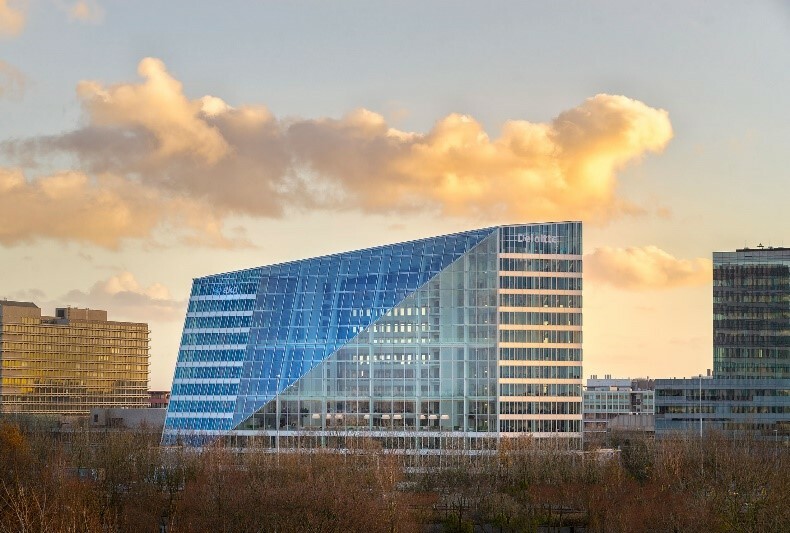 The first: The Edge, an office building in Amsterdam completed a few years ago by PLP Architecture, employs a network of digital sensors that provide streams of data and analysis to a central app in an effort to close the gap between inefficiencies and ideal occupant behavior. 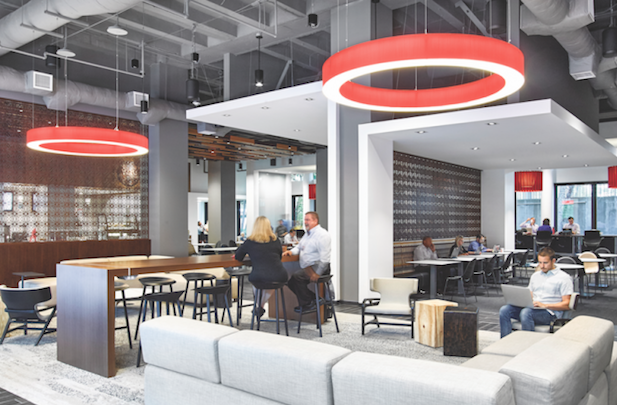 Deloitte occupies the building, which performs more like an Apple watch: monitoring user preferences, providing real-time feedback and data on daily work schedules, adjusting lights and HVAC automatically to increase occupant comfort, and even anticipating a user’s arrival into a space. Oh—and it’s surprisingly simple, honest, functional and beautiful in its form, to boot. Aktivhaus is a pre-fab housing concept located in Stuttgart, Germany. Conceived by Werner Sobek, the house not only utilizes sustainable construction methodologies and materiality, but it generates twice as much energy as it requires. 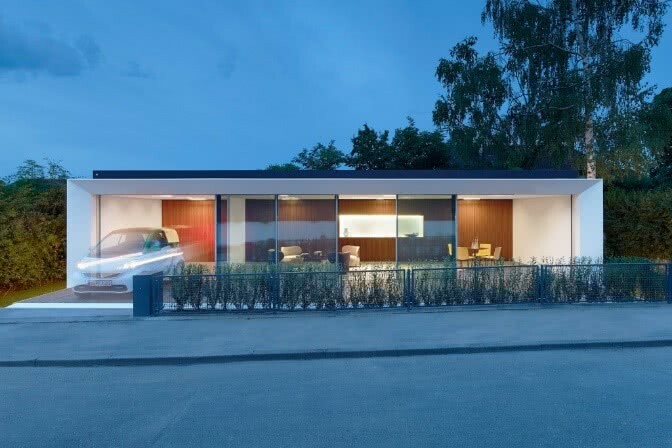 Fully modular and integrated, Aktivhaus comes with its own app that monitors and adapts conditions to the homeowner’s behavior and preferences. The concept can be dismantled and reassembled elsewhere and is fully recyclable toward the end of its useful life. Again: simple, honest, functional and beautiful. 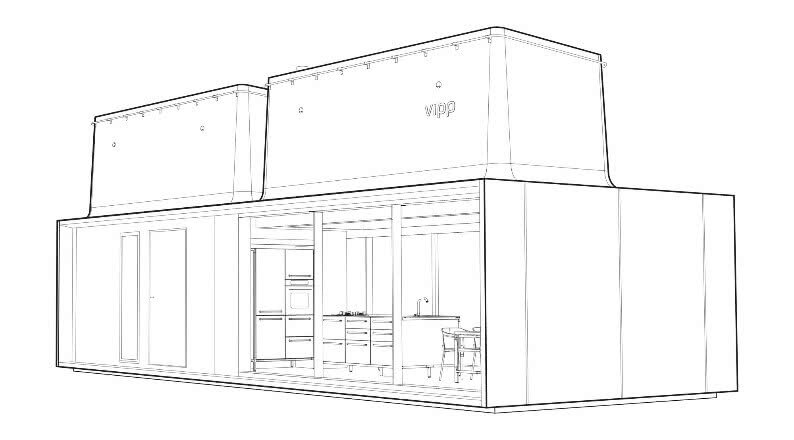 Vipp Shelter is a pre-fab, industrial design-driven modular retreat designed by an 80-year old home goods product design company best known for their legendary, and oft copied, trash bin. This turn-key retreat is an exemplary realization of total design and includes all mechanics, hardware, finishes, cabinetry, appliances, furnishings, lighting, and even a personal, branded flashlight. The house was conceived by the industrial design firm as a giant product, and every aspect was designed and detailed with that approach in mind. Simple, honest, functional, and beautiful. The availability of unprecedented amounts of technology, data, and insight equips us with the tools to incite a design revolution: one in which our field is adaptable to and able to keep pace with rapid growth; where imaginative new ways of designing and delivering architecture mimic the intensity, attention to detail and laser-sharp focus of UI/UX that makes products successful. That type of conscientious use of technology coupled with a sense of honesty and integrity just might lead us on a fruitful quest for timeless, purposeful design worthy of the Aaltos and van der Rohes of the world.